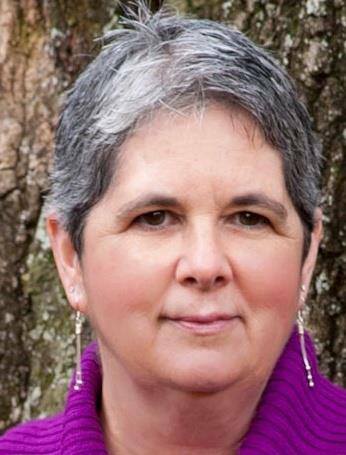 I invite Lucie Ulrich for a guest post whenever she has a new book out. She’s one of my favorite people, and I enjoy her writing, too, so it makes sense. Her latest release snuck by me somehow, though, and I only recently realized I’d missed it. How on earth did that happen!? I have a blurb, a brief excerpt, and a little information about the Tillie Spencer series to share with you. Be sure to read through and stick around for the end so you can check out the giveaway. After his mother’s death, Coll MacPherson returns to the mountains of North Carolina to work for his aunt and uncle. His part-time position at Mountain View Lodge will allow him to hone his photography skills and hopefully forget the woman who broke his heart. When Uncle Richard asks for Coll’s help to turn an unused storage building into a shop that would feature local art and artists, Coll figures things can’t get any better—until he meets Autumn Nichols. Always the bridesmaid and never the bride has been Autumn’s mantra for the last few years. After three failed relationships, she’s convinced God is trying to tell her something. If she can just get through her best friend’s wedding, Autumn can focus on building her graphic design business while leaving all thoughts of love and marriage in the past—until she meets Coll MacPherson. Both having loved and lost, Coll and Autumn are happy to settle for friendship. The enigmatic Tillie Spencer, on the other hand, has other ideas. She knows the two are perfect for each other, and, in typical Tillie-style, is determined to prove it. Her smile brightened his mood. He pushed his chair back and stood. Taking her small hand in his, Coll walked in the direction of the dance floor. “Not that way.” Autumn led him toward the exit. Warmth encased his chest. As much as she wanted the Scottish experience, she was willing to give it up for him—someone she barely knew. 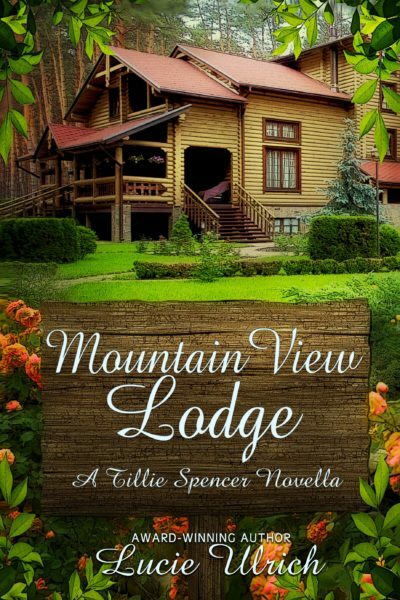 You can click here to view Mountain View Lodge on Amazon! 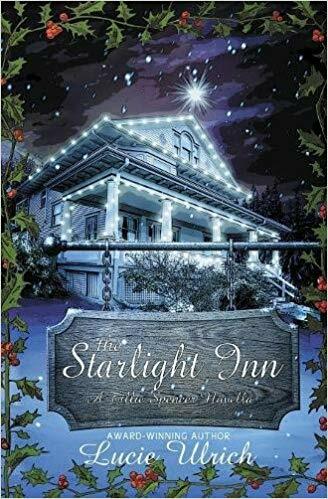 The Starlight Inn—book one of the series—was written as a short stand-alone. Tillie Spencer was meant to be a secondary character who, in a small way, comes to the aid of a “damsel in distress.” As the book progressed, however, Tillie took on a bit of a heavenly persona, and the thought of a series was birthed. Since Tillie has no family, she travels throughout the year, staying at inns, hotels, lodges, etc., imparting her words of wisdom—wanted or not—while helping couples find their way to romance. She’s feisty, nosy, a little bossy at times, but has a heart of gold, and she might just sport the wings of an angel. Tillie has quickly become one of my favorite characters. When Coll needed a place to escape life and to heal, he landed in North Carolina. When you want to get away from it all and experience a time of refreshing and renewing, where do you go? 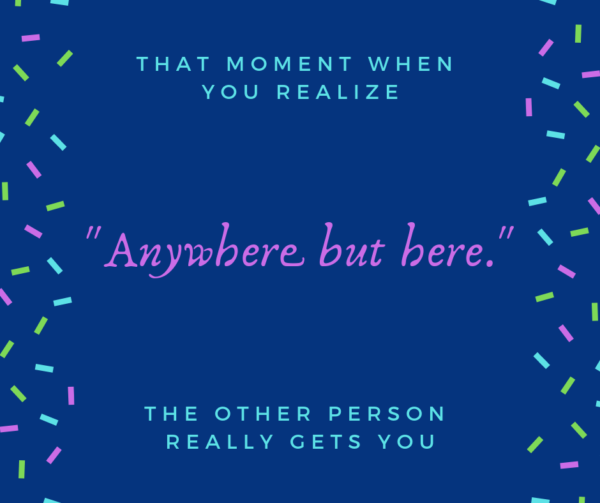 Or, if you don’t have a specific place, where do you wish you could go? I don’t have a place to go to, but I do have a few cherished books I will reread to find my happy place!! I wish I could go to the ocean and stick my toes in the water and watch the waves come in, but it isn’t possible so I escape on my deck listening to the birds. I watch the birds at our backyard bird feeders or go outside or read a book for a few minutes. I have to time myself so I don’t spend too long reading. I usually go to my bedroom and read, especially if hubby is listening to his podcasts in the living room. If it is nice outside, I will sit on the porch and read and watch the birds. My happy place are in good books Thank for this chance w have a new book and a new author. I haven’t read any on her books yet. If there’s time, going camping at the beach or in the mountains is a good get-away. If only a day or afternoon, we live near the beach, and it’s always soothing! I live in the country and my go to place is walking in the woods with my dog to relax. The beach is my serenity! I do enjoy walking along the seashore. So peaceful and relaxing! I live in North Carolina and I am looking forward to reading this book. The mountains in North Carolina are so beautiful. My escape place is the Great Smokey Mountains in Tennessee. Thanks for sharing. On a day to day basis I don’t have a specific place that I go to recharge but having some quiet time by myself always helps me. When I’m on vacation at the beach I love walking along the shore and listening to the waves, which I find relaxing. IS THIS IN PAPERBACK SOUNDS LIKE A GREAT BOOK! When I want to get away from it all and experience a time of refreshing and renewing, I go to Carmel-by-the-Sea. By the ocean!!! That sounds lovely, Natalya. I live about 10 miles from the ocean, so I know how inspiring and relaxing it can be. I look 👀 forward to reading your books! Thank you for the giveaways! My favorite place to go is to the mountains surrounded by pine trees, and lakes. My place of refreshment and relaxation is my loveseat where I can read, think, pray. Sounds like the perfect spot, MJSH!